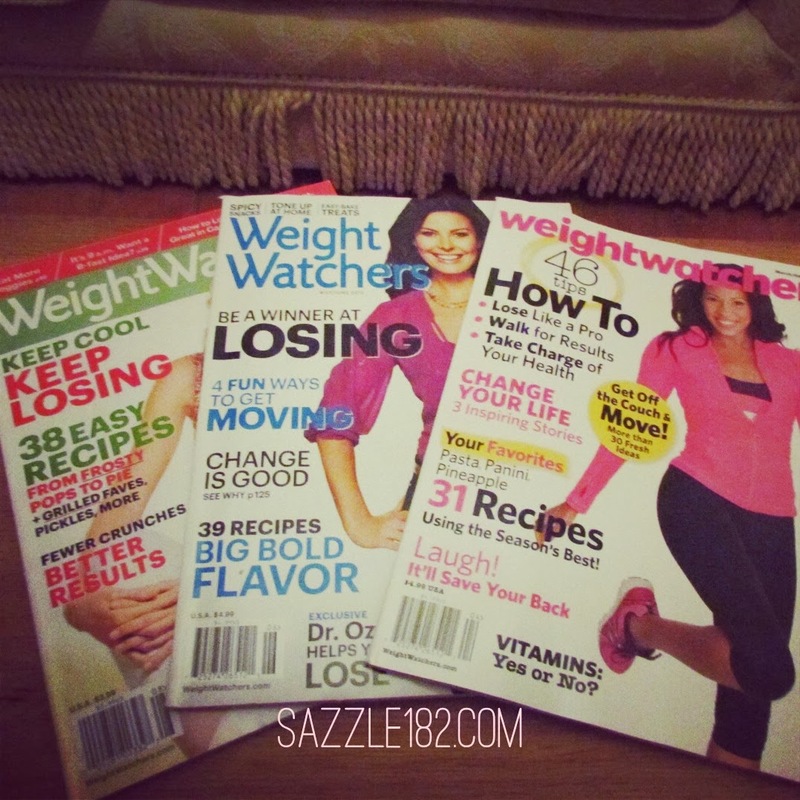 I have a crazy love hate relationship with the weight watchers magazine. I am a subscriber, so I pay the one off amount a year (most recently one amount for two years) and have the eleven issues a year posted to my house which I normally get a day or so before it hits the shops. I have been doing this for three years. 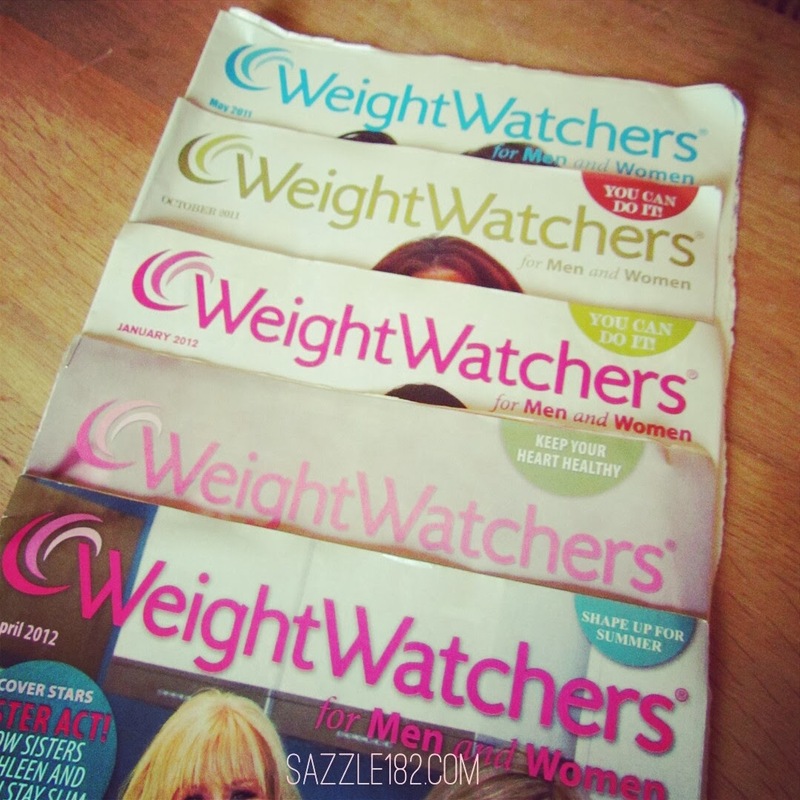 Some things have been bugging me though, despite being loyal enough to buy in bulk and have it delivered, sometimes when weight watchers decide to give out free gifts with the magazine, (I've seen samples of products, like sweets or bars, or, I think I've seen the calendar once.) they don't include it if you have a subscription. To my mind, not very fair. The main thing that is bugging me however is their success stories, it has been ages since they have actually inspired me, now I know a lot of that is my frame of mind. But when I can find certain people on the internet with brilliant success and stories I expect to find something similar leaking into the published formats. But recently, nothing, no women in the magazine for a long time have made me go, wow. Men have been a different thing, I like how every now and then they seem to have a special on a few men, for the most part I have enjoyed their stories and thought them a great inspiration to me personally. 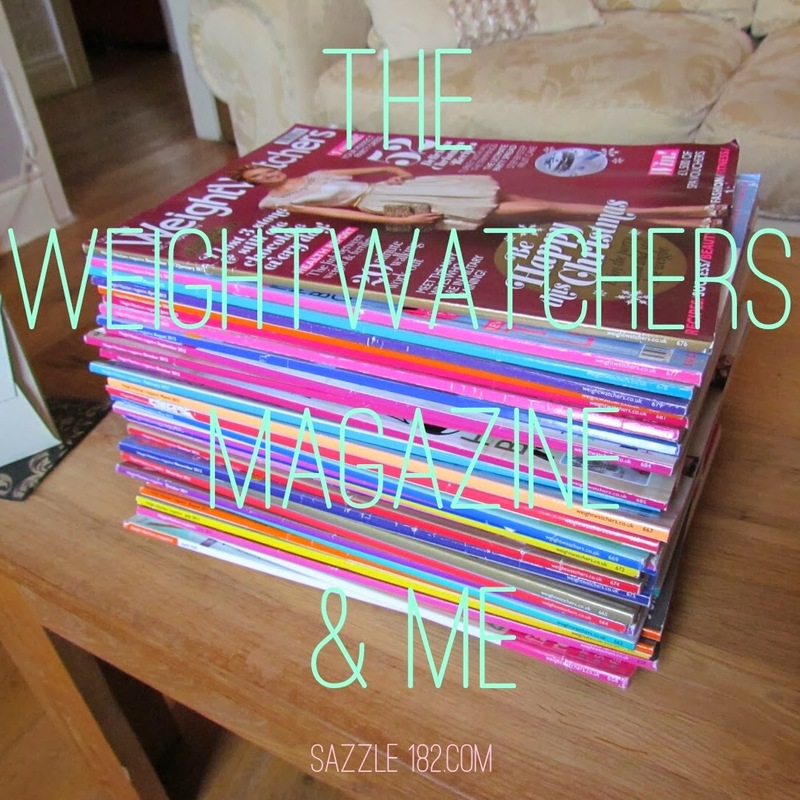 But I was having a conversation with a few ladies last week about the magazine, not just weight watchers, but similar magazines and one thing we have all been irritated by is the actual figures, not figures as in they have awesome figures (which most of them do), but actual numbers. 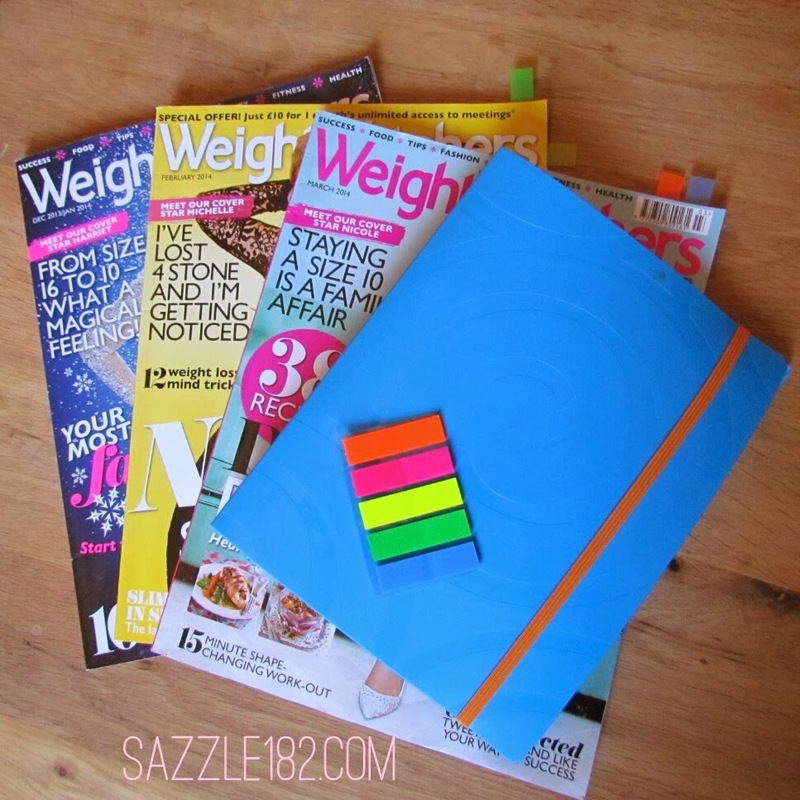 The numbers on the scales aren't big, like only losing half a stone, now that's brilliant for the individual. Well done on his or her achievement. But it's when the person isn't actually over weight in the first place, loses a stone and then talks about their success that can be... well boring? to those who have lost 20lbs and still have maybe 10+ to go. I have mentioned the fat I have been working on this post to a few people, asked opinions and have had almost everyone make the same comment, "good for her, but she wasn't overweight to start with". What I think would be nice is some interviews with people in the middle of their journey as well as those who have hit goal and that doesn't happen much. That rarely occurs. The magazine isn't all that bad now, if it was I wouldn't be such an addict. It changed early last year into a different looking format which took a while to get used to, I think they have the balance just right though. Dedicating a nice amount to books and fashion as well as recipes and the usual articles on health and success stories. There is only one section which is probably only about 1% of the entire magazine that I have no time for and always skip over. The recipes though... I have some crazy, crazy love for them. Possibly directly related to the crazy love I also have for the food network... But that is a whole other post in itself. They're awesome, they vary, they look awesome and I just love them. I don't actually cook them much though, a lot of the time I thumb through, enjoy them for a few fleeting seconds and they join the ever growing pile. Not only do I have a bit of an addiction to the UK magazine, but I am also very fond of the US version, which is extremely different to the UK. Although I think I enjoy the US version more (although this could be me just enjoying the idea that it is an exotic treat I get when some of my lovely friends go over to the states), I think those with access to the UK version have better value for their money, it is bursting with recipes and helpful articles in comparison to the US version. But I still like seeing the difference and how the plan is across the pond. I was moving the huge pile of the magazines that chill out in my tearoom and I thought how sad it was that I don't actually cook out of them all, so I have decided to give myself a challenge. There will be eleven issues this year, I already have received two. My plan is to make at least one recipe from each issue. And maybe (hopefully) blog about it. That way I don't have to feel bad that I am paid up for another 18 months to just glance over the same kind of stuff. And perhaps I shall fund some hidden gems that will become new staples! So post its and sticky tabs at the ready! I too buy the magazine religiously and have to agree I miss seeing the people with the big losses. 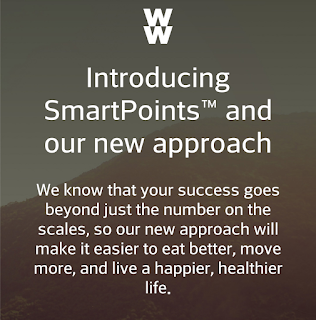 I get that not every one can have a huge loss but there the ones those of us who continously stay with weightwatchers want to see.